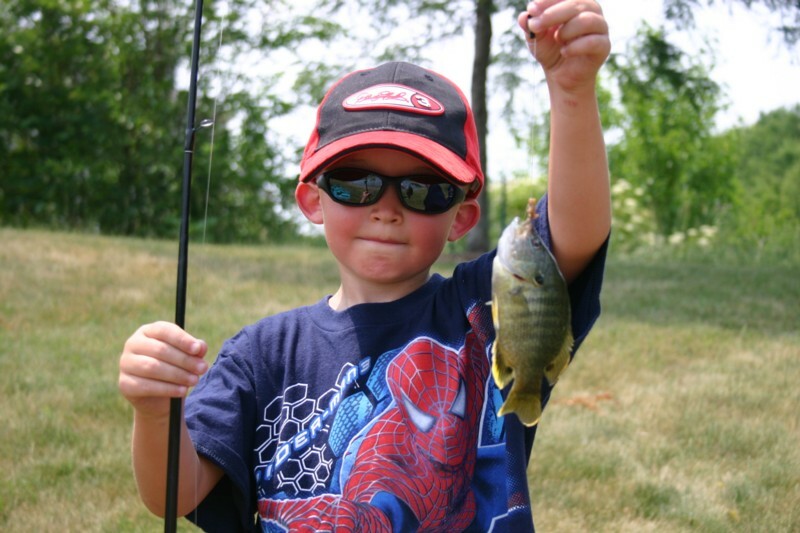 I've talked a few times here at Needhamfamily.net about our fledgling attemps at fishing. Today, I am HAPPY to report that our days of getting skunked at fishing are behind us. Today, we went fishing at, of all things, a local retention pond, and Bayand Cody both caught two bluegills each. We practiced the catch-and-release method of fishing, mainly because Cody pointed out that the fish "wanted to get back in the water with their families." Which was true enough, I suppose. Still, we've broken through on the fishing front. Fish have been caught. I thought Bailey was going to bust a gut when he realized he had an actual fish (as opposed to another weed) on his line. And yes, that is Cody, with the dark glasses and the Dale Earnhardt Sr. baseball cap on. He's getting in touch with his inner redneck these days, and that is something we are both comfortable with and encouraging.